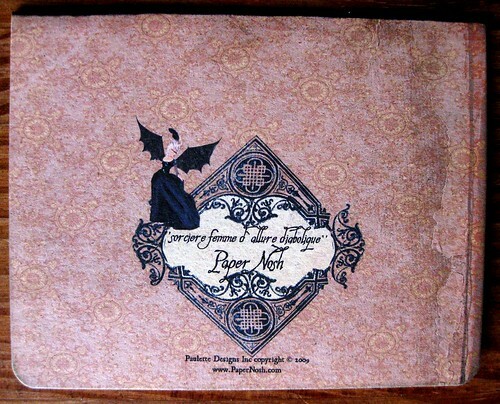 One of my faithful blog readers sent me yet another gorgeous PaperNosh notecard. 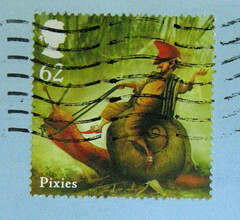 She sent me the first one last March, which I blogged about at the time, and this time she sent an extra card for me to use as well. How apropo - it's a bat lady! 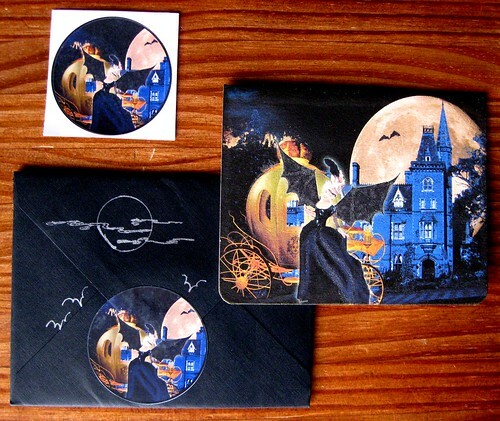 This design is called Sorcière Femme d'allure Diabolique, "Midnight Rendezvous" (is that a direct translation? I think not). 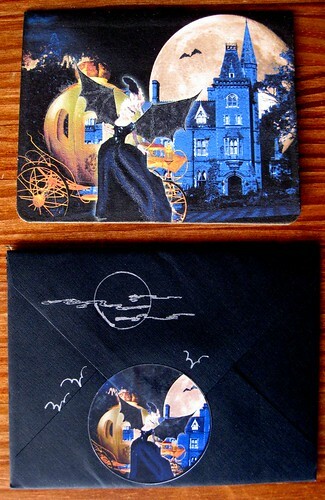 The silver accents on the black envelope are the sender's own embellishment work, fitting bats around a cloudy moon. Even the backs of these cards are lovely. The extra she sent was a joy to write on, though the price per card listed on the website puts them a bit too rich for my blood. It was a delightful special treat, though, and I feel so spoiled! This is awesome and wow my french is rusty but think your translation is off so is mine so dont even ask . The translation isn't mine - it's from the PaperNosh website. I think it says "the witch-lady with diabolic aspect"
NEway I, too, think it is very cool! I just love that COLOR! 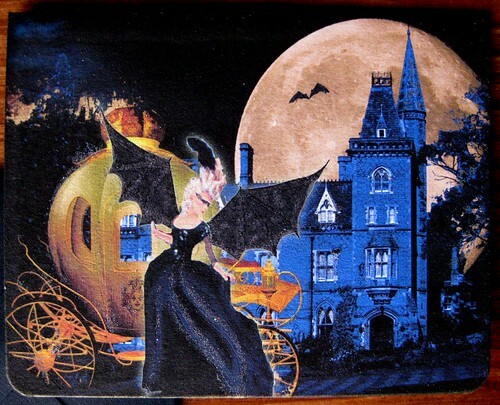 And the allure of the pumpkin carriage and bat lady. One might translate it as "diabolical-looking sorceress," but I'd call her a "devilishly alluring sorceress." I like your translation best, Chris. Thanks for visiting, Paulette - your cards are gorgeous!